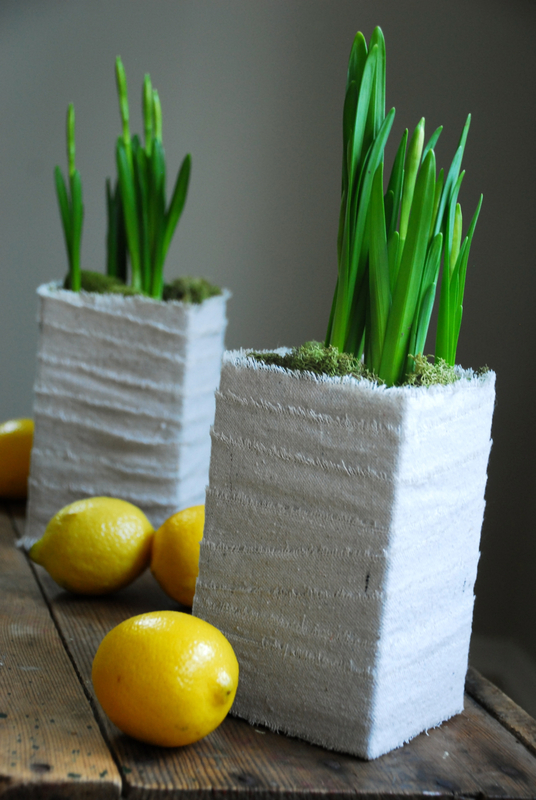 Milk cartons are cut down and wrapped in linen to serve as planters for a simple spring centerpiece. 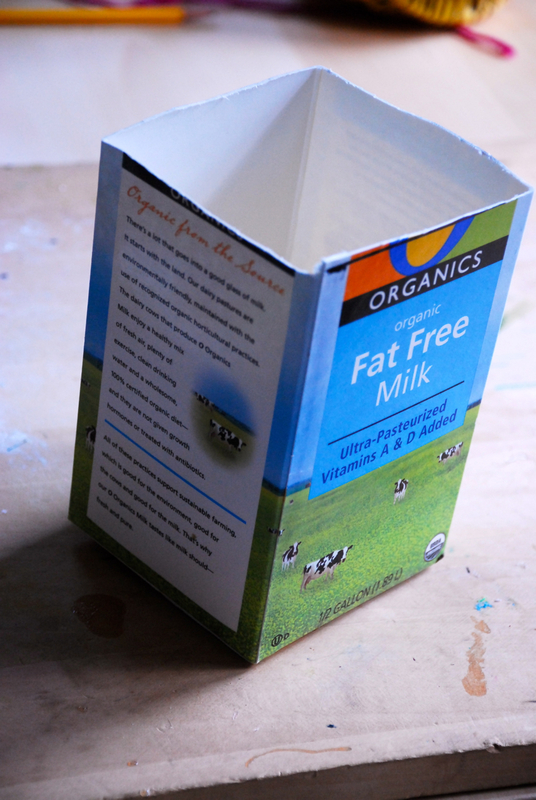 Using an X-Acto knife, I cut off the top 1/3 of a half gallon milk carton. 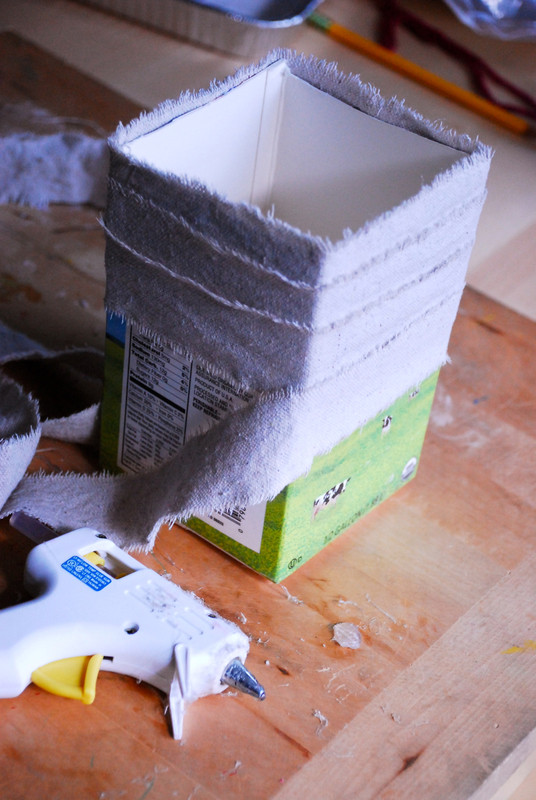 I tore rough linen fabric (that Home Depot drop cloth I love to work with) into one-inch wide strips and applied it to the carton with a glue gun. Place plant inside. If you need the plant to sit higher up inside the carton, fill the bottom with crumpled up wax paper. 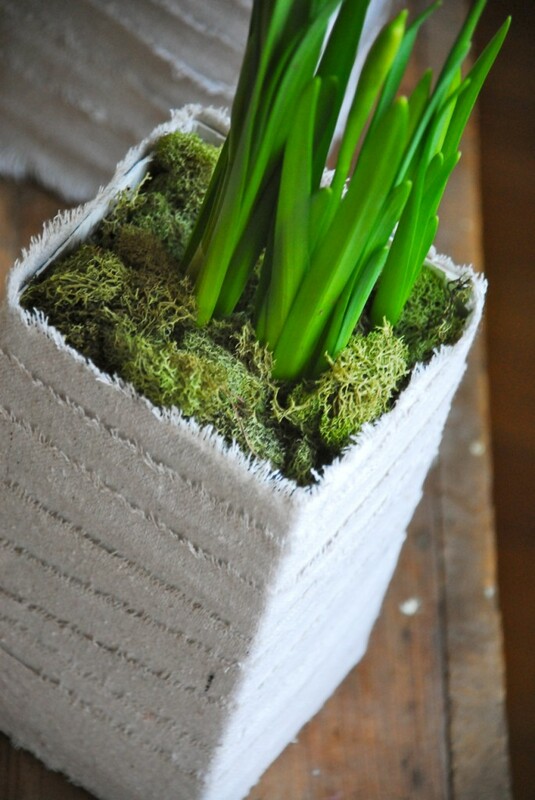 I picked up my potted daffodils in my supermarket for $2.99. 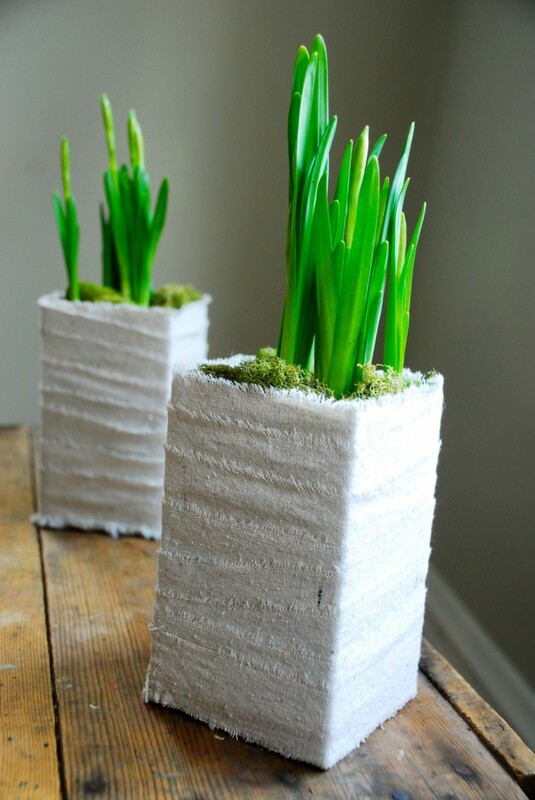 You could also use these DIY planters to hold cut flowers if you prefer; the cartons are watertight. Easy and beautiful. What more could you want? I loved this idea!! This is great for condo living. Thanks Camilla. Awesome project. 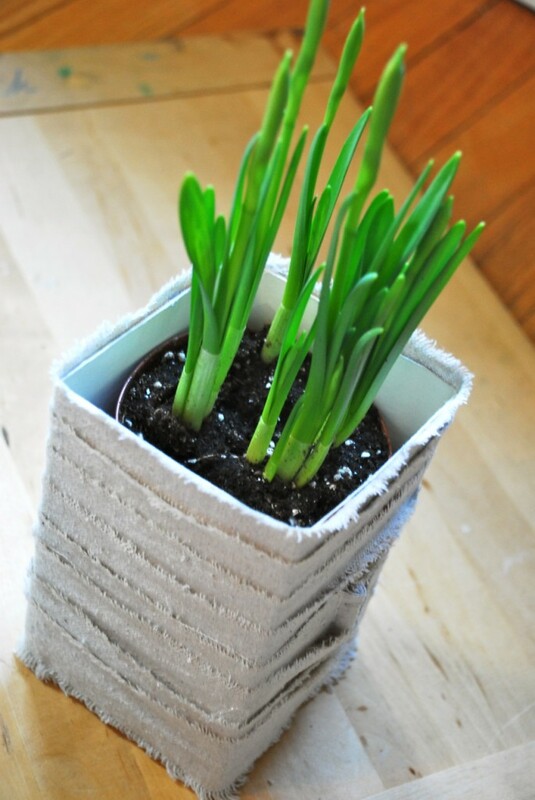 I love plants, reusing, fast and cheap crafts. So creative idea! you really have great ideas!!! I will share this on pinterst as well. Many thanks for posting! These look great!! And so easy!! It’s that is dramatically beautiful!